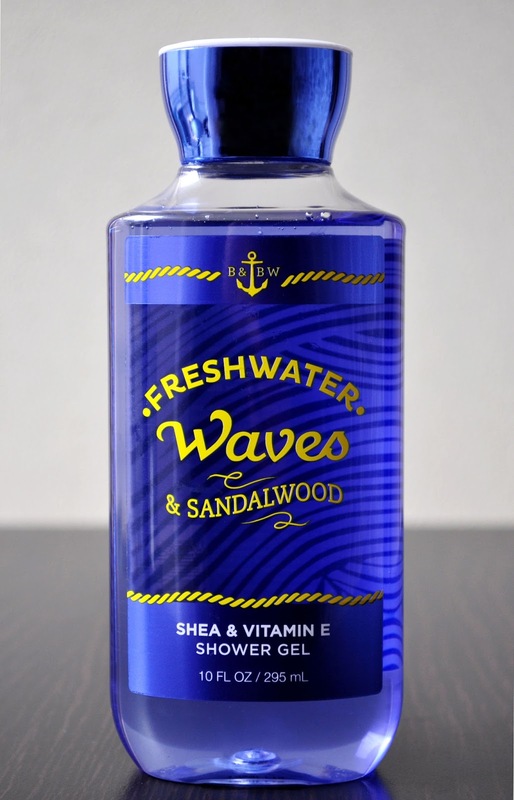 Blue, in both, packaging and liquid, February's Shower Gel, Bath & Body Works' Freshwater Waves & Sandalwood fits perfectly with my whole "blue" theme. The key notes: Drenched Lime, Sunkissed Sandalwood, Sea Breeze, and Water Blossom. Freshwater Waves & Sandalwood's unisex scent is that of the salty ocean air during the Winter. The Fragrance kinda reminds me of Frederic Fekkai's Marine Summer Hair Beach Waves Spray. At first, I liked the scent, but now I've grown sick of it...and, I find myself using more product, just so I can be done with it quicker.